Arthur W. Sjoquist and Thomas G. Hays are retired Captains from the Los Angeles Police Department as well as members of the Los Angeles Police Department Historical Society Board. 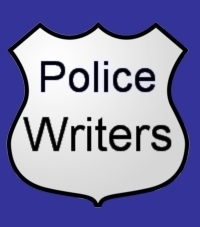 They are co-authors of a pictorial look at the Los Angeles Police Department. By the early 1900s the population of the City had increased to more than 100,000, with fewer than 70 officers struggling to maintain the peace. They were largely occupied in keeping violence and traffic under some semblance of control but an additional problem added to their difficulties. Heavy-handed machine politics had entered the picture and would remain for years to come. The Mayor’s office assumed increasing control of the Department and its policies. This accounts, at least in part, for the appointment of 16 Chiefs between 1900 and 1923. Political interference, however, did not prevent the start of Civil Service in 1903, and, in response to citizen demands, the increase in sworn personnel to 200. The gambling and vice of the 1850’s still prevailed, reduced at times by reformers only to be restored when powerful private interests in one way or another bought official protection.